Looking for maintenance jobs? At Sigma Recruitment we are consistently working with a wide range of clients on a daily basis who are looking to attract talented and capable maintenance technicians / engineers in locations across South Wales such as Cardiff, Swansea, Bridgend, Pontyclun, Llantrisant and Newport. The companies we recruit for look for maintenance candidates with varied engineering skills and qualifications in areas such as electrical maintenance, mechanical maintenance and mechatronics. There is always a range of shift patterns available dependent on your requirements. West Wales, Llanelli, Carmarthen, Ammanford, Pembroke etc. Bristol and the South West. Gloucester, Yate, Filton, Bridgwater etc. Mid Wales. Brecon, Hay-on-Wye, Llandrindod Wells etc. North Wales, Wrexham, Deeside etc. Now is an excellent time to be looking for a new job as a maintenance technician / engineer in South Wales as the market is very buoyant and there should be a number of opportunities for us to discuss with you in line with your requirements at any time. Sigma Recruitment has over 13 years of experience recruiting for maintenance jobs in Cardiff, Swansea, Newport, Bridgend, Cwmbran, Blackwood, Caerphilly and the wider South Wales areas, working with a wide range of companies from small independent businesses right up to large global blue chip companies. We enjoy close working relationships and direct contact with engineering and maintenance managers and human resource (HR) departments. 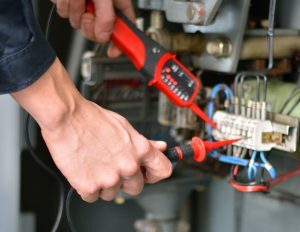 We also have access to non-advertised vacancies and are aware of clients who would always be happy to consider taking on additional high calibre electrical or mechanical maintenance staff.